﻿Run for India is a USA wide marathon/half-marathon training program organized by the Association for India's Development (AID). 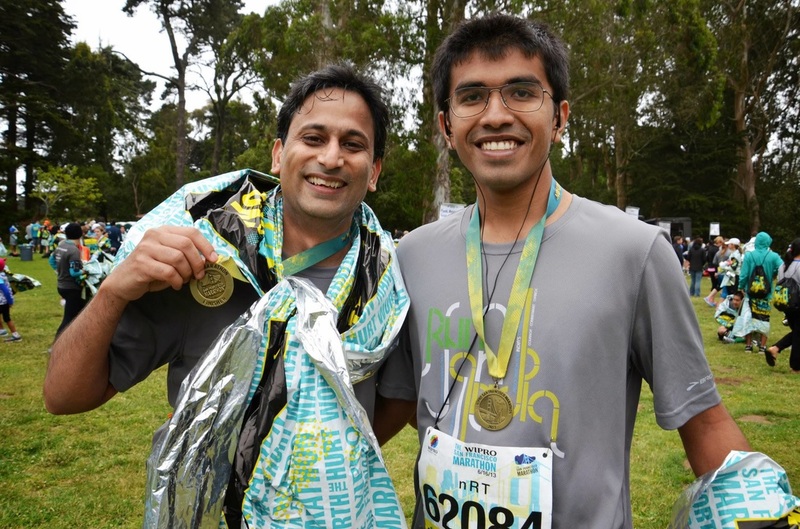 AID Bay Area's Run for India program is in its 8th year, where we train during the summer for the San Francisco Half and Full Marathon. The program lasts for 16 weeks and needs no prior experience to participate in races. We train for the San Francisco Marathon. This year the marathon will be on Sunday, July 31st. We train over a period of 16 weeks. There is no need for any prior experience running in any form of race. We start with the basics of stretching and posture and walk run techniques. Info Session II, Mar 19th 10:30 AM (Saturday) @ Fremont Library. We train on trails in several local parks in Bay Area from Campbell, to Hillsdale to Fremont. We organize a weekend morning run and a weekday evening run. And smaller groups self organize other runs locally.